The EFCC arrested Anyim in connection with a sum of N520m, which he allegedly collected from ex-National Security Adviser, Sambo Dasuki, on the eve of the 2015 general election. 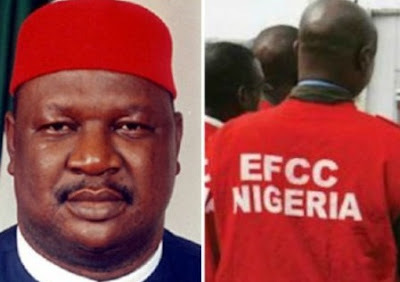 The EFCC said he is also investigating Anyim for alleged contract scam of N13bn. But in a statement on Friday by his lawyer, Chief Mike Ozekhome (SAN), he denied having been freed, saying he was not allowed to go despite the administrative bail.